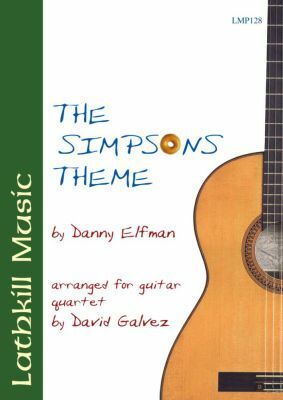 The Simpsons Theme by Danny Elfman arranged for guitar quartet by David Galvez. The first version of this arrangement was written in 1997 and has been played by the Aranjuez Guitar Quartet in several concerts. Some years later, in 2008, a revision to the first arrangement was done resulting in this version with new sections and effects. A 'must' for all Simpson's fans!